By analysing the underlying events in a match using our expected goals model, the Infogol football analytics app creates a much clearer picture of the game than simply the result. We have used this to build comprehensive pre-match and in-play content, data and visuals to enhance your enjoyment of the game and help you to bet smarter. Want to know the score? Download the Infogol app. The pre-match summary gives you helpful insight, including the Infogol Prediction and the Analysts Verdict on the match. We’ll also bring you the line-ups and form guides, as well as our unique Smart Stats and Flags. Unable to watch the match? 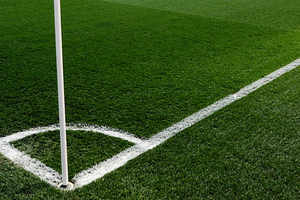 Get live score updates and keep up to date with the latest action and odds on the matches screen. Find out who scored and check the maps to see the quality to each team’s chances. Hit the stats button and you will get in-depth analysis of the match, including statistics for passes, shots on target and much, much more. 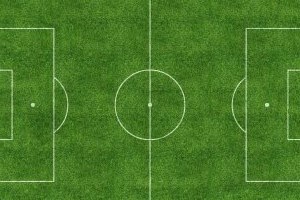 Get great coverage of some of the top football competitions around the world. For each league you can see the current table standings as well as our interpretation of where each team should be now and at the end of the season based on our model. Choose a team from any of the leagues and get a summary of their performance, results and fixtures lists, squad details and a whole host of statistical information to help you understand more about the team’s style of play and their strengths and weaknesses in attack and defence. Get Career Profiles for every player, including their stats in the current season and those gone by, and check the Top Scorer Charts. 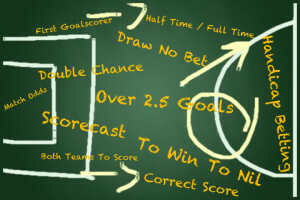 Get free football predictions and betting tips based on the data from our expected goals model. Whether you like to bet on the result of the match (Home, Draw, Away), Overs/Unders or Both Teams to Score, we’ve got you covered with our daily football tips from the analytical team behind the Timeform success. We’ve teamed up with Betfair to bring you a seamless soccer betting experience. Place your bets faster than ever with just a few taps. The Infogol App currently covers the English Premier League & Championship, Spanish La Liga, UEFA Champions League & UEFA Europa League, but we will be adding more competitions in the future. 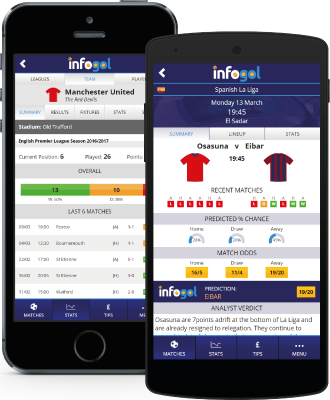 Infogol is your very own football Analyst available at your fingertips offering pre-match, in-play and post-match analysis powered from unique data models. These models are all based on one simple principle – that the result of the game is not the full story. 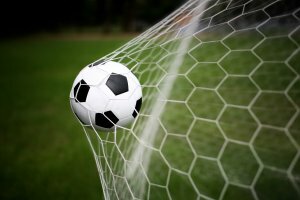 By analysing the underlying events in a match using sophisticated mathematical techniques, we can create a much clearer picture of the game than simply the result. This allows us to not only to visualise what a fair score line would have been, but predict future outcomes of matches and even complete seasons. Data on the Infogol App is protected by © and may not be used for any purpose without a licence. GambleAware aims to promote responsibility in gambling. They provide information to help you make informed decisions about your gambling.